In Just Trains 4 we are in southern Germany. Offenburg is in the German Land of Baden-Württemberg it has a population of 11,000. The small city lies on the mainline between Cologne and Switzerland just north of the junction with the Schwarzwaldbahn to Singen and Konstanz. This is possibly the busiest freight route in Europe. 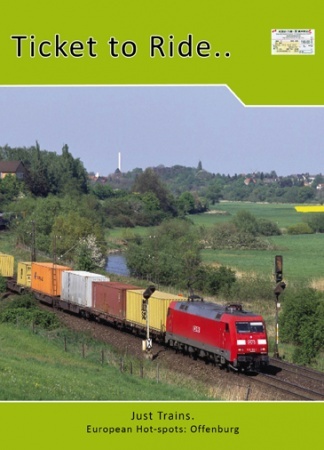 Trains run through Offenburg from the north-sea ports: Antwerp, Zeebrugge, and Rotterdam to Switzerland and Italy. South of Offenburg the routes divide: south to Basel and south-east (the Schwarzwaldbahn) to Konstanz, and the Austrian Vorarlberg. This second route is becoming more important as the mainline to Basel becomes more congested!